The memory reclamation technique that is used depends on the ESXi host memory state, which is determined by the amount of free memory of the ESXi host at a given time. With vSphere 6 VMware introduced a new memory state, called “clear state“. But which treshold of free memory is associated with which memory state? ESXi uses a value called “minFree” for the memory state calculation. 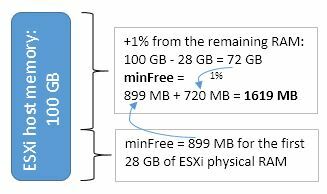 minFree is a dynamic value and depends on the ESXi host memory configuration. Open ESXTOP and type “m” for the memory tab. The host memory state is displayed in the first line on the right. 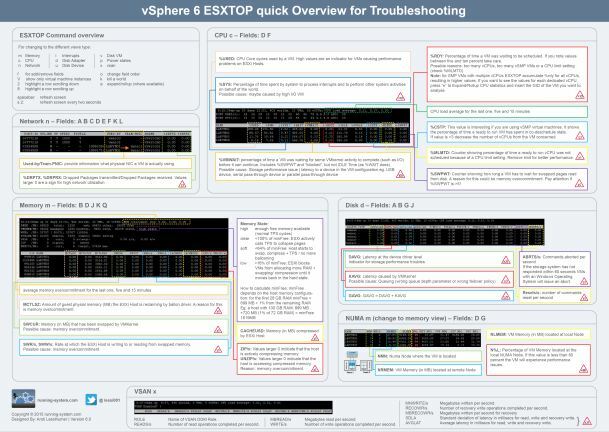 You want to learn more about ESXTOP? And Clear between 400% & 100% min free. This definetely helped me to understand the states of host memory state,Thank you.